Michelle left me a sprinkle of dietary wisdom that has been stuck in my mind since. It has changed the way that I think about food. Everything that we eat has a life force energy - it’s either very alive or dead. If we’re putting high-vibrating foods into our body (such as locally grown fresh organic produce) rather than dead, synthetic chemicals that have no life force, our bodies will respond to the negative or positive vibrations and therefore affect all other areas of our life. If we’re eating processed, slaughtered meat this is one of the lowest vibrations we can put in our bodies. The pain of animal suffering through the process of food creation will shut down our energy, creativity and intuition along with other more physiological health problems. It simply doesn't have the high life force that real food does. What is vibration? Existence is vibration. Masaru Emoto, author of his famous book “The Hidden Messages in Water” clarifies vibration. The entire universe is in a state of vibration, and each thing generates its own frequency, which is unique. [This includes, obviously, food.] …You might think, Existence is vibration? How can everything that can be seen and touched be vibration? It is indeed difficult to believe that things that you can pick up with your hands and examine – things like wood, rocks and concrete [and food] – are all vibrating. But now the science of quantum mechanics generally acknowledges that substance is nothing more than vibration. When we separate something into its smallest parts, we always enter a strange world where all that exists is particles and waves. Let’s imagine that you could reduce your body to microscopic size, and that you set off an exploration to discover the secrets of the universe called you. You would soon see that each thing consist of nothing more than atoms, each atom being a nucleus with electrons rotating around it. The number and shape of these electrons and their orbits give each substance a particular set of vibration frequencies. You would discover that whatever the substance, nothing is solid. Instead there is only a nucleus surrounded by an endlessly rotating wave. Everything is eternally moving and vibrating – on and off, at incredible speed. This may sound incredibly scientific so far but the point to it is this: Most of what we consider “food” is not really food but highly processed creations. And, since everything carries a vibration, especially what we put in our body, it must be real food – alive, not dead – in order to have a complete, awakened, healthy life. Without this, other pieces of our life fall apart, including our body. Michelle really gets this mind/body/energy connection. That is why she looks beyond nutrition - the full spectrum of a client’s life and their stressors to help people get unstuck. Only by looking at someone’s satisfaction level in different areas such as relationships, career, weight, family, finances and hobbies can she then get a marker on the areas that need improvement. “A lot of people come to me to lose weight but there’s often an emotional component that’s initially brought up that needs to be worked out first.” Childhood trauma, sexual abuse, low self-esteem, marital and financial issues – we end up addressing these and working through them. Diet and food depends on the person. Sometimes, a session is 100 percent focused on food. Stress plays a big role and can trigger you to eat an old way so Michelle addresses stress around a particular area and employs the client with stress-reduction techniques. Do you see what she’s doing? She’s not just handing them a shake or a point-program and saying, “You can do it!” but creating awareness about themselves, their feelings and emotions which in turn, will promote long-term weight loss, if that is their ultimate goal. Michelle is a poised and thoughtful woman. She has the body of a ballerina and a type of energy and radiance that usually vanishes in young adulthood. For her business, she is the walking advertisement. Just one way clients can get a piece of this radiance (and, well, let’s face it, most of us want the body) is through a 21-day detox cleanse. For all of her adult years, Michelle searched through magazines, books and tore out articles related to increasing energy trying to heal her own chronic fatigue. She regularly visited nutritionists, chiropractors, acupuncturists, massage therapists, energy workers and M.D.s - all who were unable to delete the permanent fog of chronic fatigue around her. Until five days into a detox cleanse. After another two-weeks of the cleanse she said she felt better than she had in years. And after three weeks she couldn’t ever remember feeling that good in her life. The cleanse was a vegan, gluten-free, alcohol-free, sugar-free and coffee-free. It was all food – no juicing, powders, shakes. The food was even flavored deliciously with oils, spices and herbs. Michelle lost 14 pounds in 20 days and “I didn’t even go on it to lose weight – I just wanted more energy,” Michelle said. Her thinking was clearer, she was on an “energy high” and “felt really, really good,” Michelle recalls. Michelle added seasonal cleanses to her services for clients because she felt it was so important to jump-start a handle in food sensitivities first and jump-start the metabolism while cleaning out the body. After Michelle finished the cleanse she tried adding these food types back into her diet. “Within 30 minutes of eating bread I would want to lie down and go to sleep,” she said. She spent five days in a fog every time after eating these foods. Her denial stemmed from her love for bread, crackers and pizza. Every night she would have a glass of wine with cheese and crackers while cooking dinner – it was part of her routine. Still, each time she added the food back in she got the same results. After a couple months of being knocked down with fatigue she accepted reality. We all have emotional ties to food. The comfort food that you grew up with, your favorite snack you’ve been eating for the past 24 years – only through a detoxifying elimination diet can you find food sensitivities that you never knew you had. In our world of processed foods, meats, refined grains, fat and sugar, Michelle is teaching people how to shop in the produce section and cook from scratch. She even holds kitchen makeover sessions or parties where she comes to a client’s home and teaches them about the foods they’re keeping in their cupboards and fridge. She is the eraser for the blank slate that people become and the teacher on what food really is and how to assemble it. People are thinking differently about what they eat after seeing her. They don’t think about what they’re missing or losing but what they’re gaining – increased energy, clarity, focus, sleep, balanced hormones and clear skin. A recent client Michelle worked with was a mother in her 30s. The woman suffered from a severe case of arthritis that left her unable to pick up her one-year-old and three-year-old. 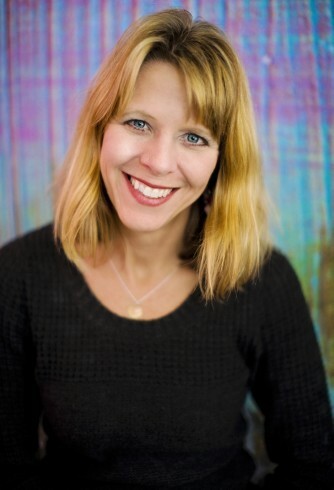 Michelle restored her pain level to zero by eliminating inflammatory foods in her diet. Michelle handed me a PH strip and test results which she gives to all of her clients to check their PH balance. The test ranges from very 4.5 (very acidic) to 9.0 (too alkaline). Most people are highly toxic and highly acidic, Michelle says. (falling between the 4.5-6.5 range). Processed foods, prescription drugs, tobacco, alcohol, coffee – these are all acidic. Cancer feeds on sugar and lives in acidic environments. If your body is acidic, you are creating an environment ripe for disease. She truly practices what she preaches. What she’s learning, she shares with people. Take meditation. Years ago, when Michelle had chronic fatigue, if she popped in a meditation CD she passed out within minutes. So she stepped from guided meditations to help her visualize up to music CDs that help days flow with much more ease and awareness. As someone who has studied personal development and lives through the law of attraction, Michelle attracts millionaires needing stress release or help with their company, struggling executives, parents of teens, young and old all seeking something better. What they are seeking is to feel whole in mind, body and spirit and have some of the vibrancy that Michelle has now after a lifetime of stress and struggle. Michelle’s home is a beautiful collection of artifacts and photos showing that she has lived and is loved. Visualization boards surround her workspace and she excitedly shows me her latest brilliant article for publishing that makes me laugh out loud. It seems all aspects of her life are flourishing. Yet like most successful entrepreneurs who turned their life-long passion into a business, Michelle tells us the biggest dips in her lives that eventually led her to the quantum leap of inspiration, health and creativity. Growing up in Arkansas, Michelle recalls her shy adolescent self. She masked her fear of talking to people through the use of drinking which gave her a social nudge. Her best friend, she said, was her horse. She was a competitive gymnast and academically successful yet she armed herself with cocktails before approaching anyone at parties. “I had low self-esteem. I didn’t make too many decisions about life and just let things happen. I was out of touch with my feelings, I didn’t speak up for myself,” Michelle said. To the outsider, Michelle’s life was on an admirable cruise control. She was passionate about food and cooked all through college as she grew into the proper host of her many dinner parties that she threw even while her two children were small. But behind the scenes Michelle reveals a rocky 22-year marriage. She met her ex-husband as a college freshman at a party and married young on a slippery foundation. There was a moment amidst the height of marital conflict, Michelle remembers the weight of unhappiness with herself, her marriage and her chronic fatigue that she didn’t even want to live anymore. Tired of using stimulants to remote her through the day, tired of all of the fighting, she lay on the bathroom floor with a knife in hand. When her husband’s car whirred into the driveway, she stopped, embarrassed, got up and put the knife away. “I was so ashamed,” Michelle said. Financial conflict with her husband was a dominant argument. He was convincing and allured by promises. In the late 90s and nearly bankrupt, the couple sold their house in Denver and moved to Fort Collins on a job offer. She was analytical, she liked the puzzles, she was good at math – it made sense. But keep in mind that for two years she played superwoman working 40 hours a week, going to school 20 hours a week, commuting to Denver, studying outside of school all the while being the primary caregiver for a 3-year-old and 6-year-old, while playing the role of the primary homemaker – doing all of the cooking, grocery shopping, party-planning, conducting school arrangements, daycare, babysitters, etc. In other words, she was tired. Despite fatigue, she took all four CPA exams within two months and passed with excellent scores all the while receiving little support or encouragement from her parents. After six years, the logical, hard-working lifestyle of a CPA that Michelle thought made sense at one point now left her drained from doing taxes up to 70 hours a week while still having most of the household responsibilities. Adrenal fatigue blanketed her life, and she napped under her desk for brief intervals of recovery during lunch time just to make it through the day. After several years in front of a glaring computer puzzling together taxes for long hours had a strong urge for human connection during the day. She was exhausted and isolated and her marriage felt isolating as well. During this time Michelle remembers seeing the word “invalidation” that struck an epiphany. It was how she felt growing up and in her marriage, as if her feelings were wrong and didn't matter. “It’s invalidating someone’s feelings,” she explains. Her then-husband didn’t do it maliciously but he let her know her feelings were not valid – they were wrong. In fact, her the thought he was helping her. For humans our emotions serve as our internal compass letting us know whether we are on track or not. Can there be anything more confusing than being told that your thoughts, emotions, intuition don’t matter? Still the superwoman inside Michelle agreed to couple’s counseling to ride out their marriage a little longer. She only shed her superwoman skin in her car where she would often become so overwhelmed with stress that she had to verbally release it. She nick-named this process “primal scream therapy.” After rolling up the gym parking lot one day, Michelle released her stress through a loud scream that rattled so loud a passer-by jumped back in fear. The interesting thing was, during these frantic, stressful years that left Michelle stifled with a heavy case of chronic fatigue, she was still nicknamed a “health-nut.” She followed what she thought to be a healthy diet of food such as salads, soups and oatmeal. But she wasn’t healthy. And despite working with nutritionists, chiropractors and acupuncturists on her adrenal fatigue, she was still drained. Then, upon completion of a six-month difficult project at work after the flood of tax season Michelle came up for air and decided she would never, ever do anything like this again. She quit her job. Yes, the stock market just crashed, yes it was a bad economy and there were people like her father to remind her of it but Michelle knew one thing: if she kept pushing herself like this, she would be dead. Panicked friends and family hammered her with questions. “What will you do?” “Where will you go?” “What will happen to you?” Michelle had no answers. The day that she left her job Michelle reserved a hotel room for the weekend as a personal retreat. She checked in for three days with some snacks, a laptop, some paper, a pen, her bible and the book, “Success Principles” by Jack Canfield. She left her hotel room only to go to the gym, hot tub or eat a meal and that was it. She simply slept, read, did research, meditated, prayed and took notes. “I came out that weekend with one awakened goal: I wanted to be a health and life coach. That’s what I was designed to do,” Michelle said. She didn’t know how, but she was excited about it. Michelle heart sunk. That uplifting, inspiring weekend that brought such clarity was now a closed door. Within six weeks of networking she had a stream of clients. The old Michelle who dreaded social functions lit up at these events. Her secret to her success was her interest in others. She rarely talked about herself and her genuine interest in other people’s businesses attracted interest in turn to her. Many of her clients became her close friends and she attracted a lot of creative types of people who, after dismissing their finances for years felt they could safely release tears and paperwork in Michelle’s care. The encouragement Michelle gave them was rewarding. But why build an empire off of a career she wasn’t passionate about? Michelle had other things to focus on right now anyway. Her son suddenly fell ill – and doctors from Western or Eastern medicine practices had difficulty diagnosing him. While her son missed three months of school Michelle found herself in the superwoman role again as a medical advocate furiously researching a diagnosis or cure for his symptoms and carting him around to 4-6 doctor appointments a week. Michelle is not the type to blindly listen to an M.D. and take it at that. Her endless research on all kinds of tests, bacteria, viruses, organisms and listening to her gut led her guiding her son to recovery despite conflicting information from doctors. When her son entered school again some four months later, his peer group had moved on and the once- straight-A advanced placed student mingled with a new shady set of friends who damaged the family cars, stole household items and used the house as party grounds. Her son was skipping school, in trouble with the law and very depressed. Michelle braved a sane mask during this phase only due to her yoga teacher training she was immersed in at the time. At 17, Michelle trusted her gut once again and set aside her maternal instincts. She kicked her 17-year-old out of the house. “Someone asked me, ‘Can you do that to a 17-year-old?’ I said, I don’t know. But I just did,” Michelle said. It was during this time that Michelle did a 20-day gluten-free, alcohol-free and sugar-free organic food cleanse. When she came out of the fog she was riding on a wave of willpower and clarity. She felt she had the strength now to tell her husband she wanted a divorce. The divorce was not the priority though. The two were linked in and out of the juvenile courtrooms until they found a solution for their son: a therapeutic program in the remote land of Utah that worked specifically with juveniles. In this land free of cellphones, computers and video games with no contact with the outside world, their son regained his will and desire for a better future through therapy and wilderness exploration. The program experts discovered their son had social anxiety disorder and an IQ of genius level (as in 1 percent of all intellectual people in the world.). The misanthropic drifter that Michelle’s son briefly turned into made sense now and she was determined to keep him in his authentic state. He was enrolled at a therapeutic boarding school in Utah where he excelled academically, and played as captain of the soccer and basketball team. He was accepted into five colleges and got a job. This was the second time since quitting her CPA job that Michelle came up for air. Her son was safe, and she no longer had her husband telling her she couldn’t do something. She enrolled in the Institute of Integrative Nutrition to finally pursue her dream of becoming a health and life coach. There was an air of stillness at this point in Michelle’s life and she realized something. Her children had hobbies, her ex-husband had hobbies but she didn’t. So she found things that she loved to do. She went out dancing again. She hiked again, she backpacked. She went to concerts. She rediscovered her sexuality and feminine side. “I was doing things that I loved to do that I hadn’t done in a long, long time,” Michelle said. She started Radiant Life Wellness, started school, sold her accounting practice and finalized her divorce. She then took the years of stashed articles and research on entrepreneurs, success, living your dreams, nutrition, law of attraction, spirituality and centered living and shared them with others. By living authentically and guiding others, she is living her life purpose. As the law of attraction states: Nothing merely shows up in your life. You are the creator and attract all of it. Most people hold the majority of their vibration to what they are observing instead of what they want. Michelle teaches people how to get this past this to gain control over their finances or relationships with others or food to raise their vibration. She connects success with health. “When your vibration is higher you attract good things into your life,” Michelle said. (Such as money, opportunities and relationships). Since ailments are largely a result of negative emotion, Emoto says that if you can erase the cause of such emotions you “have an innate capacity to recover from illness” and raise your vibration. Michelle said that when she talks about healthy food and habits that what she sees is a vibrant life in all areas. “Financially, relationship-wise or spiritually in all religious forms. “I give you all of the tools to create a vibrant life but the goal is creating your life and all of the pieces in it to feel the best you can feel so you can help other people and share your gifts with the world,” Michelle said. This creates a ripple effect. Masaru conducted experiments with tap water where he froze it, and took the microscopic pictures of the frozen molecules. Left alone, the water molecules were shapeless and void of structure. When Masaru took bottles of water and exposed them to positive thoughts, for example, love, thanks, joy and gratitude, the photos showed a complete and beautifully-formed crystalline structure. When exposed to negative thoughts, the water formed erratic, formless blotches. His words and prayer over the water proves that thought, words and intention, just as all things [including food], vibrate and can change our environment. Like what you're reading? 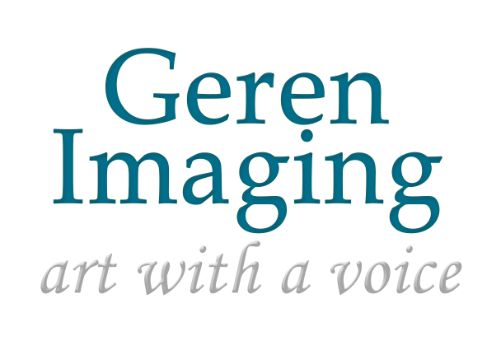 Contact Jennae at jennae@gerenimaging.com to be interviewed, photographed and have your unique story shared with the world in a beautiful format where everyone can see precisely what you do. Your business will be featured on our Web site, social media and in our e-mail newsletter sent out to hundreds of locals. You will also receive full copyrights to your story and photos to use for yourself however you like.